A new report published this week from the International Energy Agency (IEA) has shown that global energy demand increased by 2.3% in 2018 recording the fastest pace of growth this decade. The IEA’s Global Energy & CO2 Status Report pointed to a strong global economy and increased heating and cooling needs as the main factors behind the increase which drove global energy-related CO2 emissions up by 1.7% to 33 gigatonnes. The report shows that demand for all fuels increased in 2018 with fossil fuels accounting for nearly 70% of global growth for the second year in a row. Solar and wind generation grew at double-digit pace — solar growth was 31% — but natural gas was the favored source of energy generation in 2018, accounting for 45% of the rise in energy consumption. Electricity accounted for half of the growth in primary energy demand in 2018 growing by 4% in 2018 to more than 23,000 terawatt-hours (TWh), pushing electricity towards a 20% share of total final consumption of energy with renewable energy sources a major factor contributing to this power generation expansion. China remains the world’s leading renewable energy country, both for wind and solar, followed by the United States. The world’s three largest energy intensive countries – China, the United States and India – cumulatively account for nearly 70% of the rise in global energy demand. 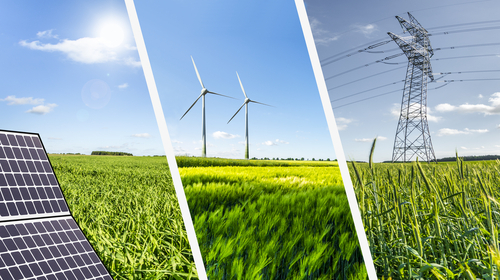 Naturgy supplies 100% renewable energy and works with various stakeholders to ensure a clean energy future for Ireland working with our customers in Ireland, Northern Ireland and the UK with a renewable energy strategy that suits their business needs.